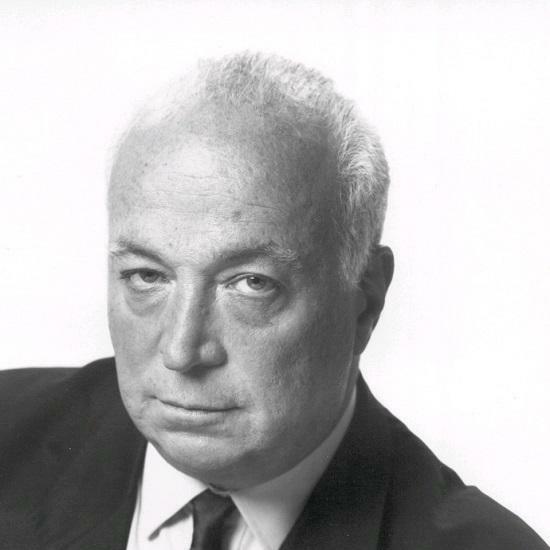 Seymour Stein needs no introduction. Beginning at Billboard when he was 14, Stein's remarkable career stretches back nearly 60 years. He also worked at the legendary Brill building and set up the independent label, Sire, with Richard Gottehrer in 1966. His name is irrevocably linked to some of the greatest pop and rock artists of the last 50 years. I'm sure most will know of his role in the careers of Madonna, Talking Heads, The Ramones and The Pretenders; all of whom sit in the Rock and Roll Hall of Fame, as does Stein; who was inducted in by another of his artists, Ice T. Stein is also known for responsible for introducing many of the great British alternative bands of the 1980s to the US market; Echo & The Bunnymen, The Smiths and Depeche Mode to name a few. Still running Sire at WMG, Stein devotes at least an equal amount of time and energy to the world-wide indie distributor, ADA. The interview process was one that was long in gestation, and one that hints at the busy life Stein leads. Conducted via a set of calls from the KZN Music Imbizo Conference in Durban, and (previously) under the awning of a teepee on a broiling hot day at Haldern festival, Germany, where Stein gave a command performance at a talk I hosted, running through a myriad of stories and happily fielding questions. On the basis of our interview, he clearly still enjoys the challenge of bringing new labels from around the globe to the ADA roster. It is also very clear that Stein still holds onto his principles as an independent taste maker. We opt for a path less trodden for the Quietus interview; talking about what, for Stein, constitutes an "independent" outlook in the music business, and what songs first moved him at the beginning of such a remarkable career. I can't quite believe I'm sat next to you in a field in Germany, Seymour. Seymour Stein: But this place is magical, it really is. This (Haldern) is a special festival. You see yourself as an independent. Why is that so important in your work? SS: Indies are out on the street; and most (but not all) of the folks at the majors are working in ivory towers. It's worth remembering that on the first ballot for the Rock & Roll Hall Of Fame back in 1986, there were 41 names. Of those, 39 started their careers on indie labels, including Elvis, whose first six singles were released on Sam Phillips' Sun label. SS: Martin Mills, Daniel Miller and Geoff Travis spearheaded the second wave of the great UK indies. Also Alan McGee, who came along a bit later. I was very fortunate to work with all of them and still quite friendly with them to this day. Needless to say, earlier UK indies like Chris Blackwell at Island, Chris Wright and Terry Ellis at Chrysalis and Simon Draper at Virgin, Andrew Lauder at United Artists and the first indie head I met, Nat Joseph at Transatlantic, were all great music men. What I saw in them is not dissimilar to what I saw in the great American indie pioneers when I was growing up. My great mentors were Syd Nathan of King Records, Ahmet Ertegun, and Jerry Wexler at Atlantic; and folks I met at Billboard, like Leonard Chess, Lew Chudd of Imperial, Si Waronker at Liberty, Archie Bleyer at Cadence, and George Goldner, who I actually worked for at Red Bird Records, my last job before starting Sire with Richard Gottehrer. All of them lived in the street. That's why they were successful. I must ask you about some of the early Sire releases. You signed underground British bands like Tomorrow, and The Deviants, who were a crazy band by all accounts... Any memories about these two acts? SS: I was attracted to Tomorrow from the song, 'Excerpt From A Teenage Opera' which was not on their album. EMI allowed me to include it and that was primarily why I decided to release it. I met the original producer and/or backer of the first Deviants album Ptooff! I licensed it from him for release on Sire in North America, and I believe for our then-licensee, British DECCA in rest of world. I believe I licensed a second Deviants album from my good friend Matt Joseph at Transatlantic. I got to know Mick Farren of Deviants really well when he moved to New York, where he wound up living for many years. What was it about the independent British bands of the late 70s and early 80s (Bunnymen, Smiths, et cetera)? Was it something specific in their sound, or bearing that caught your interest? SS: What I always look for in just about any band or artists I sign is their songs. I believe the bands you are referring to were from a golden era of music from Britain. Despite the success of bands like The Beatles, Rolling Stones, The Who, The Kinks and others back in the mid 1960s, A&R people at major labels in America were either too busy, or too interested in local music to pay immediate attention to some of these bands. Many of them started on indie labels as well and very few A&R men crossed the Atlantic back in those days. SS: Because I had already built up a relationship with, and strong admiration for Daniel Miller. I thought back then and still do that he was a genius. There were several great indie labels that came into being around the same time, but it was Daniel alone who not only owned his own label, Mute, but also produced the artists he signed. I'd like to know why you currently find developments round Bollywood and in India so exciting? Who are the musicians or writers to look out for? SS: It is not Bollywood that I find exciting, it is India. It's soon to become the world’s most populous country, with a middle class of way over 400 million people. And there is also China. Great music can come from anywhere around the globe. And there has always been a music business. It just wasn’t recorded, nor was it centered in New York, London, Los Angeles or Nashville but rather St Petersburg, Vienna, Berlin, Milan and Paris; Bach, Mozart, Beethoven and Tchaikovsky were not classical musicians while they were alive and active, they were the rock stars of their day. Let's talk about some of the earliest music that gave you goosebumps. Maybe you can relate a quick story about ten records, and why they mean something to you? SS: It would be impossible for me to give you a list of the top 10 songs that shake my life. Far more music went in to it than just ten. Among the songs I love best were those that I see as historically important, and helped change and develop my taste. 'Tennessee Waltz' by Patti Page - a song instrumental in integrating country into pop - is certainly one of them. 13 weeks at number 1 on the Billboard charts. Although written by Pee Wee King and Redd Stewart, it opened the door for Hank Williams' songs to gain popularity outside of the country field. Pee Wee and Redd wrote other songs that crossed over into pop, most notably 'You Belong To Me', and 'Bonaparte’s Retreat'. What was it about Hank Williams that made him special? SS: Hank Williams was one of the greatest writers of all time, and it's very sad that his career lasted for only six years. My favourites of his are 'Your Cheatin Heart' and 'Cold, Cold Heart' both of which he wrote and also 'Lovesick Blues'. Rhythm and Blues was a great influence on me. Songs like 'Goin' To The River' by Fats Domino, 'Lawdy Miss Clawdy' by Lloyd Price, 'Work With Me Annie' by Hank Ballard And The Midnighters, 'Maybelline' by Chuck Berry, 'Tweedlie Dee' by Lavern Baker and 'Try Me' by James Brown. Also, everything that Sam Cooke recorded, but in particular 'Win Your Love for Me'. I believe that when that song was heard in Jamaica and it was a strong influence in the early days of Reggae and Ska. Doo Wop was also an important trend in the 1950s as a sort of precursor to rock & roll. Is that true? It tends to get overlooked nowadays. SS: I fell in love with doo wop in 1954 when I was just 12, through songs like 'Gee' by The Crows and 'Sh-Boom' by The Chords. 'Sincerely' by The Moonglows, 'I’ll Be Home' by The Flamingos, 'The Great Pretender' by The Platters and 'A Thousand Miles Away' by The Heartbeats are among my favorites. Rhythm and blues, country and doo wop were among the three main influences that forged rock & roll, but it took The King, Elvis Presley and 'Don’t Be Cruel' to break down those walls forever. SS: 'Some Enchanted Evening' by Rogers And Hammerstein is certainly not one of my all time favourites. However, I do love the line, “Fools give you reasons and wise men never try.” It is so true I often use it as a compass, or road map.